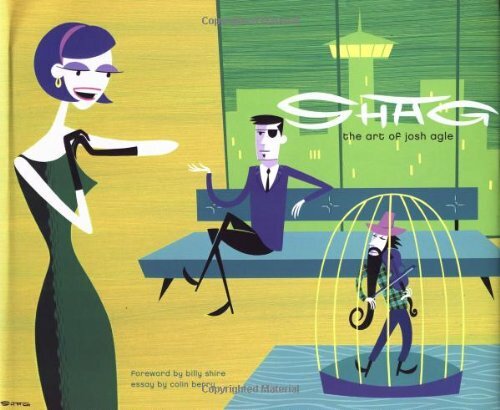 Josh Agle, better known as Shag, a contraction of the last two letters of his first name and the first two letters of his last. There are over 180 retro and quirky illustrations in this book. Most of them are traditional medium although I mistook them for vector art on first impression. His style is definitely unique. Besides the wild colour scheme, there's always something off in his paintings. It can be a lady listening to a small man playing inside a bird cage, or a bartender with four arms, or even the devil sewing a piece of leaf for Eve. That's the quirkiness that sets Shag apart from other artists. There's not much text other than a short history of Shag's life and career.